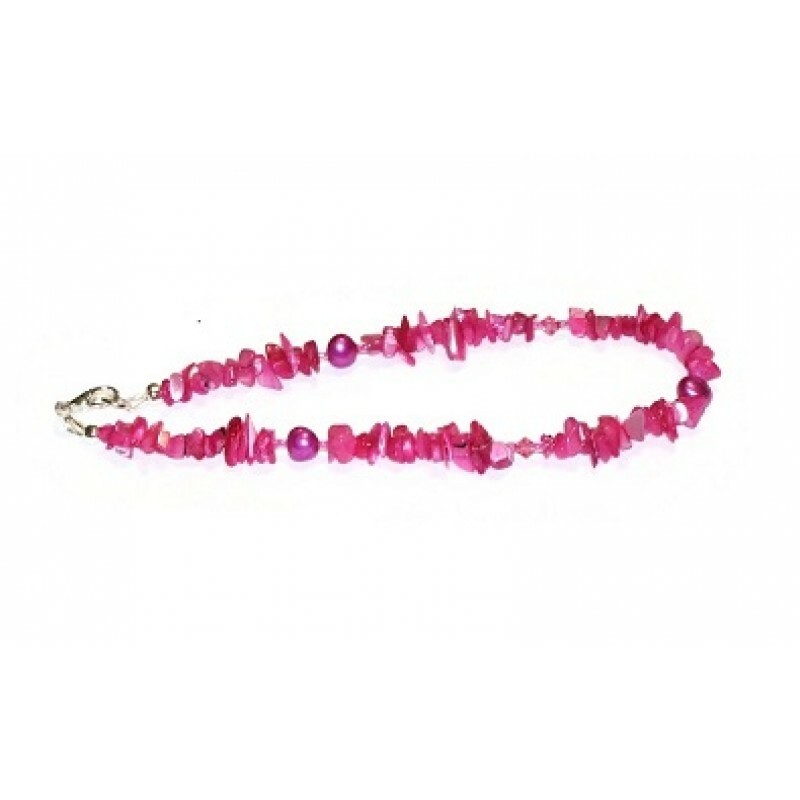 Add a pop of color with this fuchsia ankle bracelet. It is made with mother-of-pearl chip beads, Swarovski crystals and freshwater pearls. It has a silver-plated lobster clasp closure, and measures 10 inches.